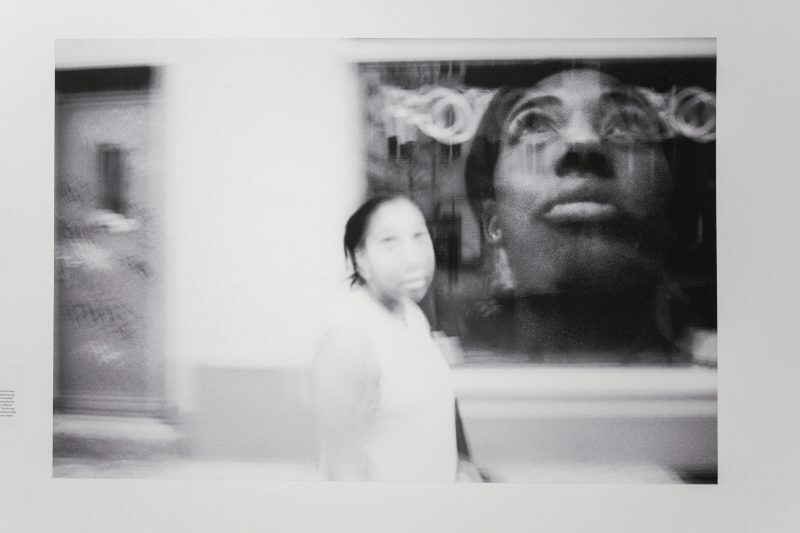 Photographer Maya Jackson’s “Ghost(3),” pictured above, alludes to double consciousness, a concept coined by W.E.B. Du Bois in 1903. The image is included in “The Art of Freedom” at the Black History Museum and Cultural Center of Virginia. Photo by Erin Edgerton. 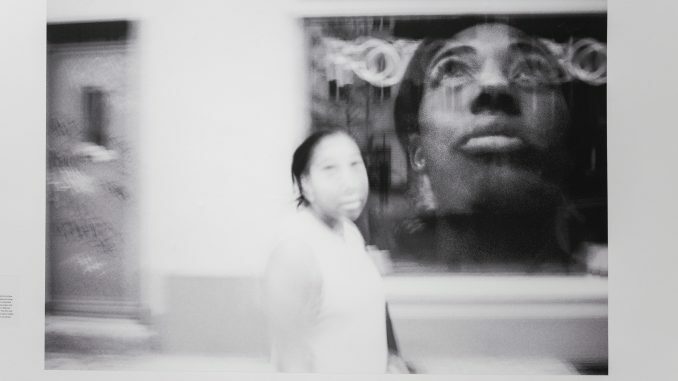 In the background of a layered, black-and-white photograph, a blurred subject casts an expressionless glance toward the viewer. The face of the same subject gazes upward in the foreground, as if something greater hovers nearby. The conceptual self-portrait titled “Ghost(3),” one piece in a three-part series, depicts expressions of identity and psychology in the context of race. The gallery, which opened Jan. 19, prompts Virginia-born and Virginia-based artists to express what freedom means to them. “Ghost(3)” answers with a discussion of what it means to be free at home and abroad. Jackson said her work fit with the gallery’s theme well — as soon as she read the prompt, she felt her work related to it. Her self-portrait is the third image in “Ghost,” a series Jackson created in Germany last year on a trip abroad with VCU’s photography department. “Ghost(3)” alludes to double consciousness, a concept coined by sociologist and author W.E.B. Du Bois in his 1903 autoethnography, “The Souls of Black Folk.” Jackson said she wanted to explore double consciousness both physically and psychologically. This analysis of double consciousness physically forms through Jackson’s medium. Using 35 mm infrared black-and-white film, she captures unseen reflections of light and invites the viewer to see beyond the veil of the natural world. By using infrared film in a self-portrait, Jackson showed the ways light reflects off her own skin. She used the same film to document her family members, which prompted her to experiment further with the medium. There are many ways to define freedom, and Jackson said the classic definition revolves around self-expression. But her personal definition is rooted deeply within her art and in the message it conveys. “Ghost(3)” and “The Art of Freedom” will be on display at the Black History Museum and Cultural Center of Virginia until May 19.